The cold arrives and with it the desire to sleep with Nordic and enjoy a hot soup for dinner. But today we want to tell you a great plan now that Christmas is approaching, to enjoy this time of year in Barcelona in the best way possible. From Fuster Apartments we want to share with you the best ice rinks for skating in the city that are installed these days of the year to spend a great afternoon with your family or friends. 1. Ice rink of Pedralbes Center. One of the pioneering outdoor ice rinks in Barcelona. 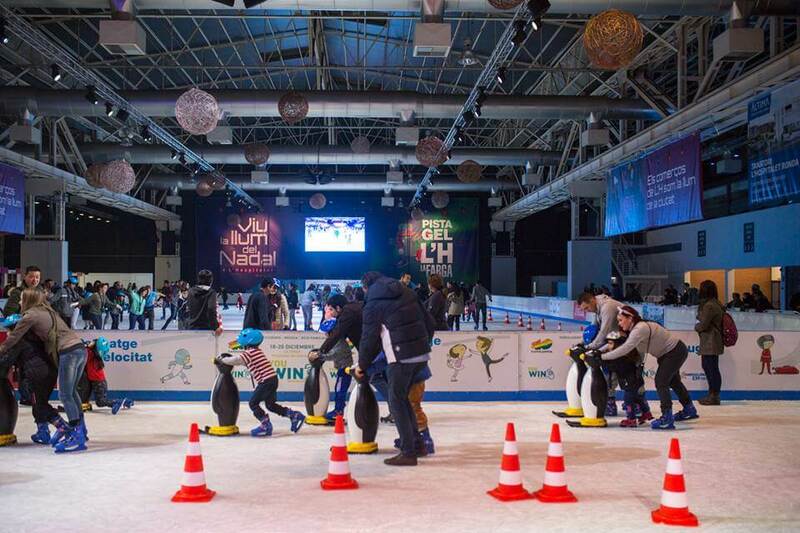 Right next to the shopping center offers one of the most charming ice rinks in Barcelona. It will be open from 28 November to 10 January. How to get there: metro L3 Maria Cristina. The shopping center La Maquinista aims, as it has been doing for some years, in the trend of these ice rinks, which are so successful for all citizens and tourists have. Ideal to go with children. Also with the plus of being surrounded by the biggest shopping center of Catalonia. Shops, cafes and leisure. The perfect evening. Monday to Sunday from 10:30 a.m. to 2:00 p.m. and from 16:30 a.m. to 8:30 p.m. Saturdays until 9pm. 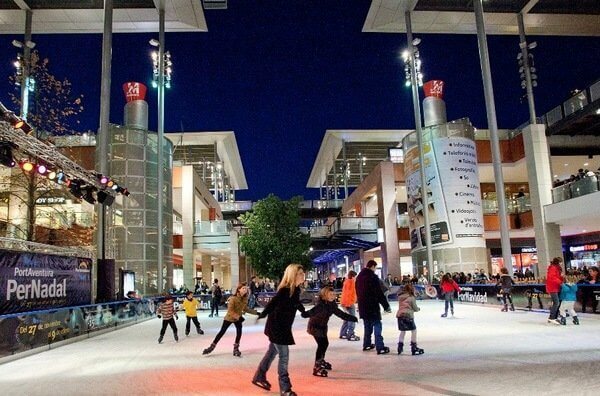 Located in La Farga de L’Hospitalet, it is the largest urban ice rink in Europe. In addition this year inaugurate an ice slide that will delight for kids and adults. You can also practice sports like curling and hockey to recover strength and warm up in the coffe bar. From Monday to Sunday from 10am to 9pm uninterrupted and until 11pm on Fridays, Saturdays and Sundays. 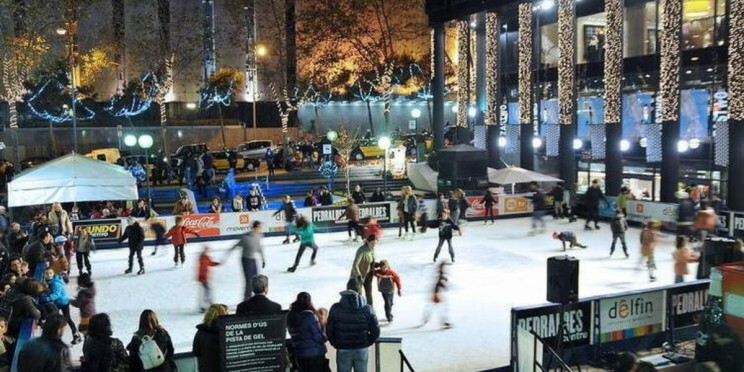 The BarGelona ice rink will open its doors from December 2 to January 8. Address: Carrer Barcelona, ​​2 Hospitalet de Llobregat. How to get there: Rodalies L’Hospitalet de Llobregat or Renfe Av. Carrilet or Sant Josep. Funny, right? Do not miss this opportunity to enjoy on ice in one of the most beautiful days of the year. And if it does not seem enough, you can read our post of the Fira de Santa Llúcia in Barcelona with all the information to know one of the most important Christmas markets in the city.